Beginning on February the 1st, 2011 the Scottsboro Boys Museum and Cultural Center will be presenting several programs involving Black History Month. The public is cordially invited to our kick off celebration of Black History Month on Tuesday, February 1, 2011 at 10AM. The featured guest speaker on Tuesday the 1st of February will be Ms. Marilyn Jones Stamps. Ms. Stamps is in charge of the Publications Division of the Alabama Department of Tourism, she is the coordinator of the "Alabama Vacation Guide" and editor of the "Alabama Calender of Events." She has been employed by the State of Alabama for more than 30 years. Ms. Stamps has a passion for history which she attributes to growing up in the Civil Rights era of the 1950's and 60s. She grew up in a large family of 15 in the Jonesville Community of Matthews, Alabama. During the February 1st program guest speakers will be Senator Shad McGill, District 8 Senator representing Jackson, Dekalb and part of Madison County; Ms.Sadie Bias, Chairperson of the Jackson County Commission and the first woman Chairperson of the Jackson County Commission; Mayor Melton Potter, Mayor of Scottsboro, Alabama; Reverend Robert Shanklyn, past President of the Alabama NAACP and several other guest speakers. The February 1, 2011 date is a special date for the Scottsboro Boys Museum and Cultural Center as it represents the 1st year of operation. The past year has been fantastic, we have received donations to purchase the property for the Scottsboro Boys Museum and Cultural Center and many in the community have supported our cause. 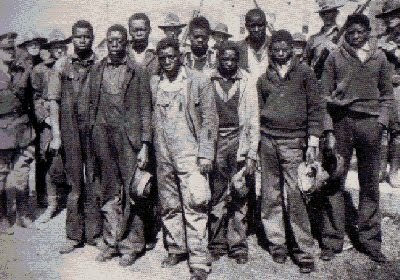 A cause dedicated to telling the story of "The Scottsboro Boys" and how the tragic event begining on March 25, 1931 began the modern Civil Rights era. "If a race has no history, it has no worthwhile tradition, it becomes a negligible factor in the thought of the world, and it stands in danger of being exterminated." "A tree without roots can bare no fruit, it will die." Read the novel; Rescue at Pine Ridge, "RaPR", a great story of Black military history...the first generation of Buffalo Soldiers.